Les Mis was the first musical I ever saw, some 20 years ago, and watching the adaptation for the silver screen this Christmas will be the first time I will have seen it since. The musical version of Hugo’s masterpiece treats the same themes of broken dreams, unrequited love, redemption and social justice as does the novel, but the musical does it in a way that only musical theater can: with a score that reverberates in your head and in your soul long after you leave. Add to the magic of musical theater the magic of sets built on a city-sized scale (even if it was London and not Paris they used for the barricade scenes) and the magic of the editing room, and Hooper’s newest project promises to be a veritable phenomenon. The trailer for the film has been out for a quite a while, but on the off chance that you haven’t come across it yet, allow me to share it with you. Just watch this and tell me you don’t get goosebumps! By the way, Anne Hathaway reportedly sang this rendition of “I Dreamed a Dream” live in front of the cameras, as opposed to pre-recording it, as is more common for film musicals. Reportedly, she’s not the only star in Hooper’s project to belt it out live as the cameras roll. I, for one, can hardly wait to get my tickets in six months’ time. (Can you tell I’m counting down to this?) 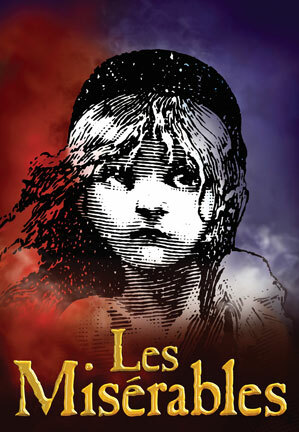 Les Misérables opens in U.S. theaters on December 7. For a slightly higher-quality version that I couldn’t embed in this article, click here and view the trailer on YouTube. Les Mis (in London) was my first musical too! Spent the rest of High School listening to the soundtrack. Can’t wait for the movie. Have you read the book? I read the complete unabridged version after seeing the show and keep thinking I should tackle it again now that I live in Paris. I haven’t read the book in its entirety. I read some of it in English, and then when I took my French courses here in Paris, we had an excerpt (the scene with the archbishop and Jean Valjean after he steals the candlesticks). I decided I should try to tackle it in French. I didn’t get very far unfortunately. I should take it back up so I can finish it before Christmas!